25 Creative Ways To Decorate Your Work Desk! | CurrentBuzz! 25 Creative Ways To Decorate Your Work Desk! Workspaces can be quite gloomy and monotonous.So, how do you pep your desk up to not feel disinterested? Follow some of these ideas to give your workspace a touch of creativity and feel the difference. #1. Monochrome or colourful? Decide the theme of the desk décor you want to go for. #2. Keep a bonsai or a small, artificial potted plant. Plants are said to bring positivity. #3. 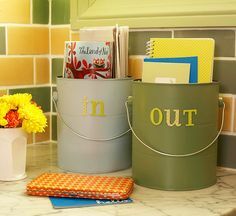 Organise your office supplies in creative boxes or colourful buckets. #4. 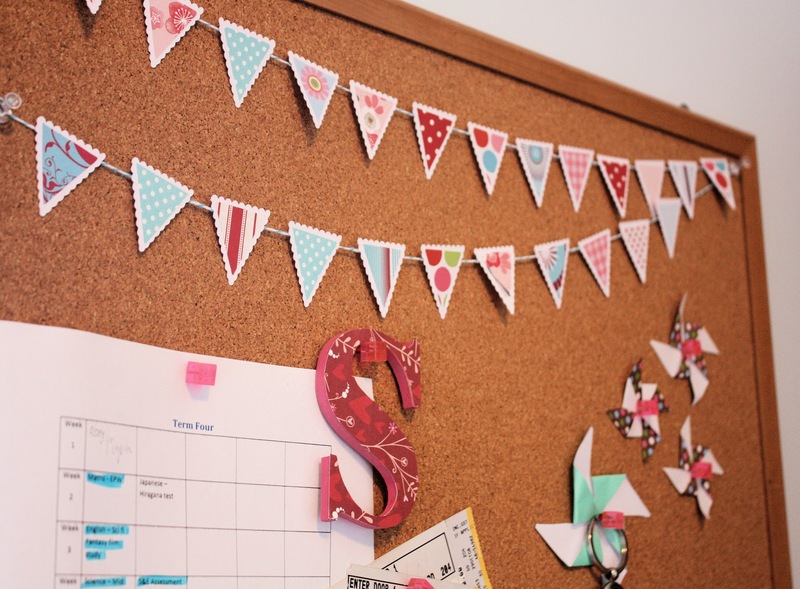 Decorate your soft board with colourful post –its, or even a small bunting. #5. Put up photographs relating to your hobbies, be it your favourite painting, photograph of the place you want to visit etc. #6. 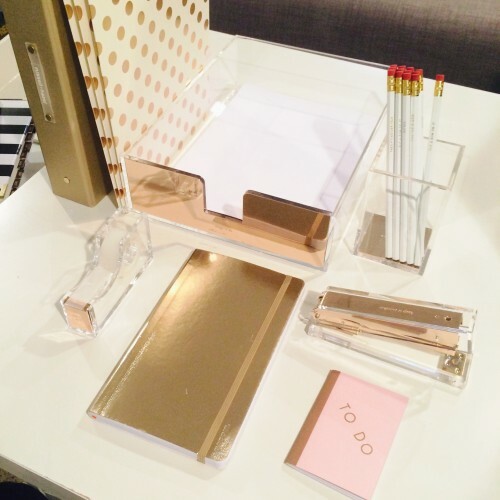 Keep a fancy tray to keep your notes, post-its and some important but basic office supplies. #7. Brighten up your desk with fairy lights. #8. 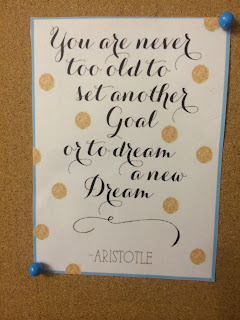 Put up your favourite quotes on the soft board. #9. You can also put a patterned paper on the soft board to make your space look positive and creative. #10. 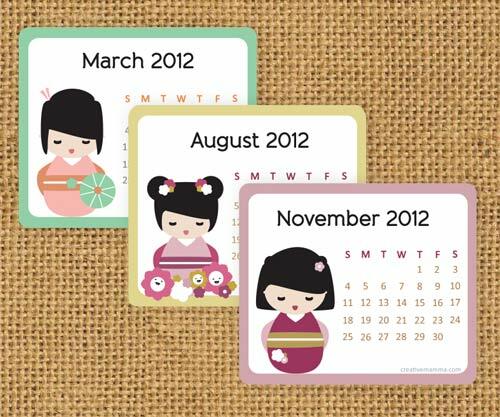 Hang a creative calendar or you can also put up some cute calendar printable from here. #11. 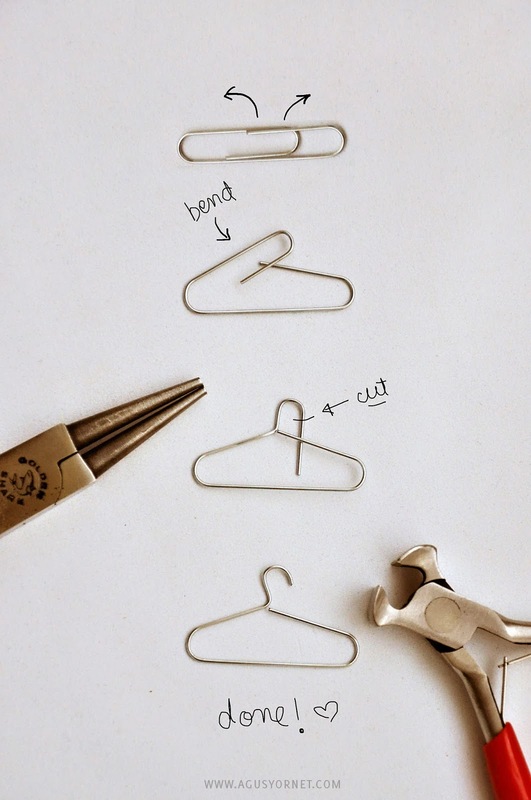 You can make your own fun paper clips or U- pins! #12. Decorate your office supplies stand with patterned paper or with patterned tape! #13. Don’t be afraid to create some origami boxes to keep your things. #14. 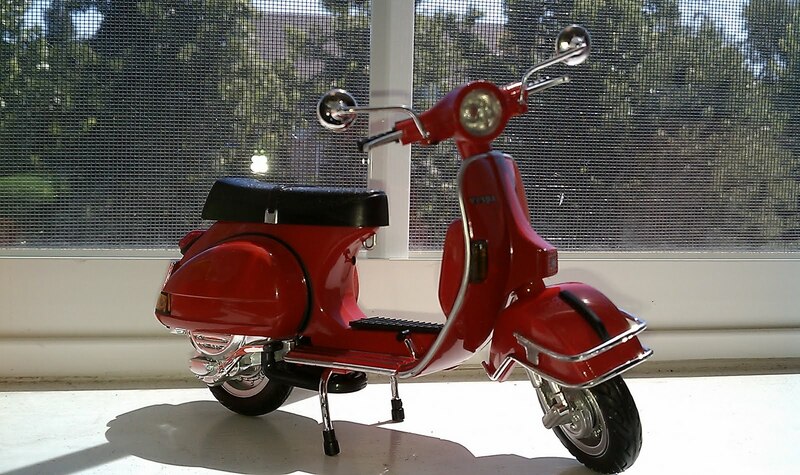 Pep your desk with a cute die-cast toy scooter. #15. Cover the fairy lights in different colours of gelatin paper. #16. 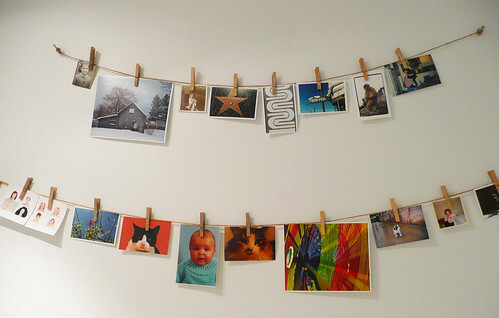 Hang your favourite memories or photographs with colourful clothespin. #17. 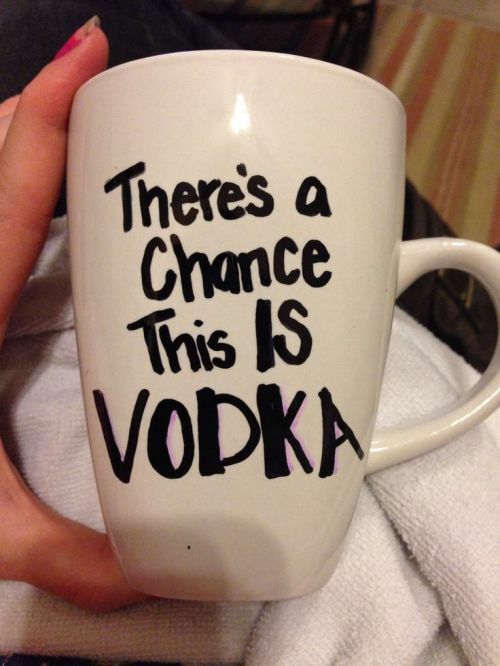 Decorate your coffee mug. #18. 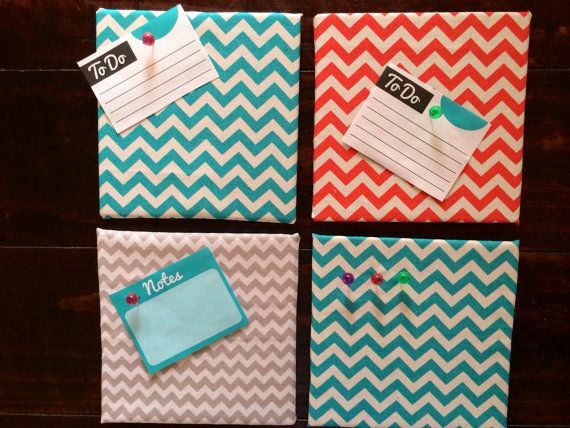 Go for patterned or colourful binder folders. #19. 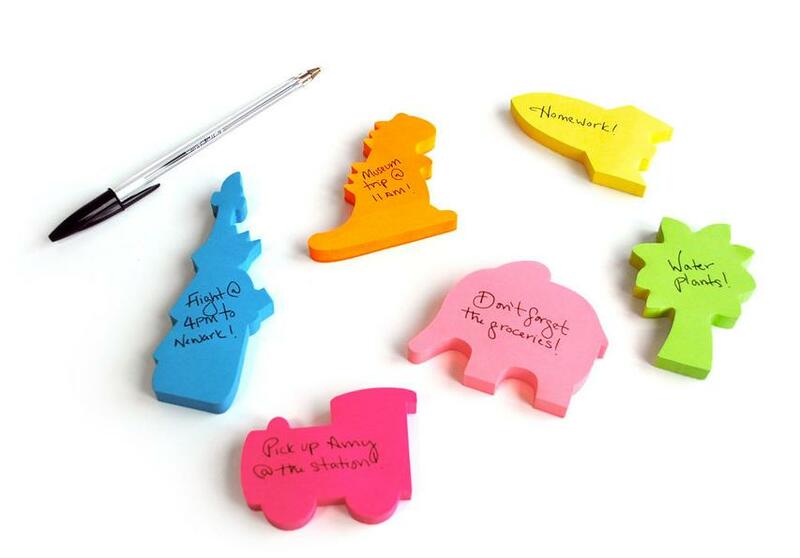 Use different shapes of sticky notes. #20. Get a quirky phone stand for your phone. You can buy this one from here. #21. You can also use your colourful post-it flags to brighten up your work files. #22. 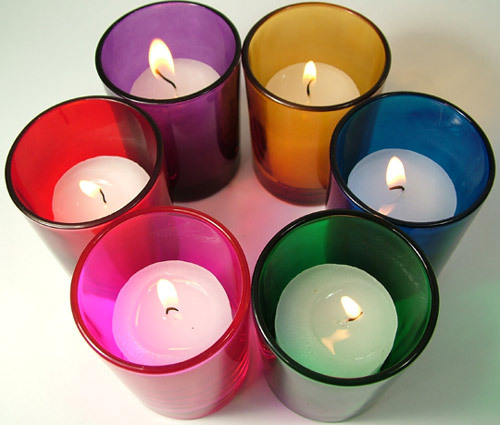 Use colourful candle holders and put tea lights in them or put small artificial plants or creepers in it. #23. 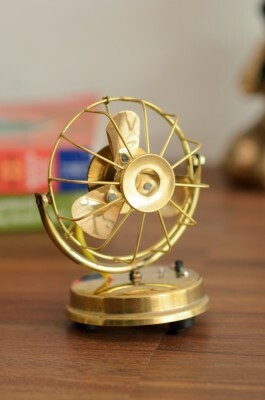 Place some antique things like this tiny brass fan on your desk. You can get it from here. #24. Create your own creative coasters with this tutorial. #25. 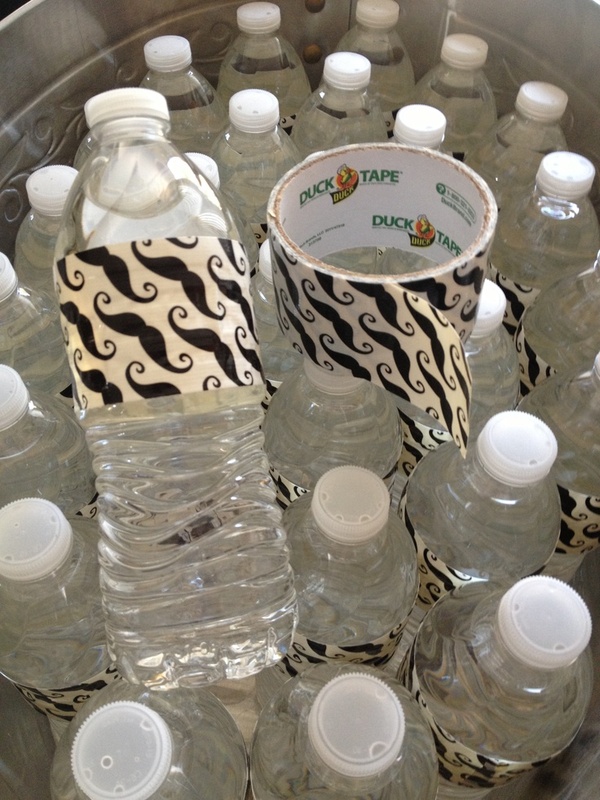 Decorate your water bottle with some washi tape or with a marker! Featured image is sourced from here. Let me know if you’re looking for a article writer for your site. You have some really great articles and I think I would be a good asset. If you ever want to take some of the load off, I’d really like to write some articles for your blog in exchange for a link back to mine. Please send me an email if interested. Thank you! have hit the nail around the head. The issue is an element that too few folks are speaking intelligently about. You can definitely visit your enthusiasm in the work you write. The planet hopes for even more passionate writers such as you who usually are not afraid to state the way they believe. Helpful information. Fortunate me I discovered your site unintentionally, and I am stunned why this coincidence didn’t came about in advance! I bookmarked it. I don’t know whether it’s just me or if perhaps everybody else encountering troubles with your web site. same time? This can be a issue with my internet browser because I’ve had this happen previously. how you will center yourself and clear your feelings before writing. I have had trouble clearing my mind to get my thoughts out. start. Any suggestions or tips? Thanks a lot! I simply want to mention I’m very new to blogging and absolutely loved this website. Almost certainly I’m want to bookmark your website . You absolutely come with superb articles. Regards for sharing your blog site. What’s up to every one, the contents present at this site are really remarkable for people knowledge, well, keep up the good work fellows. Wow, that’s things i was looking for, what a data! present at this weblog, thanks admin on this web site. Youre so cool! I dont suppose Ive read something like this before. So good to search out any individual with some authentic ideas on this subject. realy thank you for starting this up. this website is something that’s needed on the internet, someone with just a little originality. useful job for bringing one thing new to the web! was once looking for this particular information for any long time. feels that you are doing any unique trick. Also, The contents are masterpiece. I think I would personally never understand. It appears too complex and very broad for me. I’m looking forward for your post, I am going to try to obtain the hang than it! Are you experiencing any tips on how to get indexed in Yahoo News? excellent points altogether, you simply received a new reader. What may you suggest about your put up that you simply made some days ago? Any certain? things, The site style is perfect, the articles is actually nice : D.
This submit truly made my day. You can not imagine just how much time I had spent for this info! information from here every single day. actually one thing which I think I would personally never understand. It sort of feels too complicated and extremely wide to me. Great website. Plenty of useful info here. I am sending it to a few buddies ans additionally sharing in delicious. to pay a fast visit this blog, Maintain the good work. I just want to mention I am new to weblog and definitely enjoyed your page. Almost certainly I’m want to bookmark your blog post . You actually have terrific articles and reviews. Thanks for sharing your webpage. is awesome, great written and have almost all significant infos. I simply want to tell you that I am very new to weblog and actually savored you’re website. Most likely I’m want to bookmark your blog . You surely have excellent article content. Thank you for sharing your blog site. There are actually some interesting points in time in this post but I do not know if I see all of them center to heart. There’s some validity but I will take hold opinion until I appear into it further. Excellent article , thanks and we want more!